An Explanation of “Nit Seva Mangun Shyama Shyam Teri” by Jagadguru Shri Kripalu Ji Maharaj . A devotee is saying to his beloved Lord, “I am begging for Your eternal service.” What is the meaning of ’service’ (seva)? A soul who is under the control of Maya doesn’t understand what is service, and therefore has never done it. Whether one serves someone in the world or one serves God and Guru, the meaning of ‘service’ is to remain favorable towards the one being served. This is the first condition. A negative thought about them should never enter your mind. In other words, you should always have favorable thinking towards your Guru and God. This is the first service to them. You should never think negatively about them, even for a moment. We render service to our mother, father, and spouse, but we also harbour negative thoughts about them ten or twenty times a day – towards the same one we are serving! If a mother is sick and a child is serving her, the child may even think, “Oh, when is she going to die so I will be free from this!” Someone could think even up to this extent about their own parents. So one should always have a favorable attitude towards the one he is serving. lack of care. So physical activity is also required, and this is done with the body. The third condition is that service is rendered with one’s wealth. Through this, the mind is also purified, one receives God’s grace, and the attachment and pride one had in relation to that wealth ends. 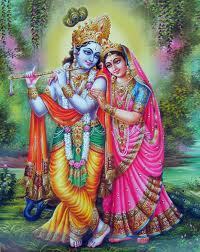 Once Queen Kunti asked for a boon from Shri Krishna: “Please make me bereft of all material wealth and possessions. If they remain, then my pride of possession will remain.” Everyone is proud of their personal possessions. A poor woman with a 100 rupee sari sees a wealthy woman wearing a 10,000 rupee sari. She feels dejected. Someone with a high school diploma is asked by someone with an MA, “What degree do you have?” “I only graduated from high school. And you?” “Oh, I have an MA”. The person with the MA feels proud. Everyone has pride; no one in the world is saved from this. When you see someone ‘higher’ than you, your ego is deflated. “I have $10,000, but he has $100,000!” When you see someone ‘lower’ than you, you feel puffed up with pride. So you oscillate between deflated, inflated, deflated, inflated – this is how you somehow remain alive. If you kept on being puffed up with pride or were continuously deflated, you would have heart failure. Instead we see ourselves in relation to those who have more than us, and also to others who have less than us, so observing this, we remain alive. So when there is correct mental service, physical service and financial service, this is called ‘service to God.’ At the beginning of your devotional practice, you are not able to see and know God, so God’s other form is the Guru. We do the Guru’s service. For this reason, rendering service with one’s mind, body and wealth towards the Guru is prescribed. As long as one hasn’t attained God realisation, he should regard service to his Guru as service to God. The Bhagavad Gita says (4/34), “Go to a Guru and attain spiritual knowledge from him. Do his service and be surrendered to him.” There are three conditions stated in this verse: (1) completely surrender your mind and intellect to the Guru, (2) ask him devotional questions to remove all your doubts, and, (3) render service to him. 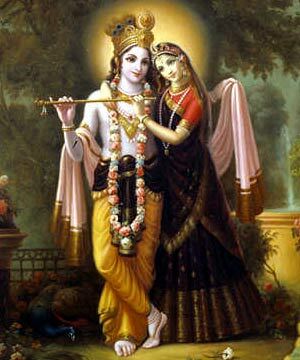 In this kirtan line, a devotee says, “I am only asking for divine service. I don’t want liberation or material happiness.” There is no happiness here on this earthly plane. A person is not happy here even for one day, no matter if he is prime minister, an ordinary laborer, a billionaire or a beggar – everyone is unhappy. One doesn’t receive happiness from worldly possessions or wealth. One only gets tension and anxiety. In the process of attaining wealth and possessions, one commits sins. Wealth is the cause of one’s ruin. There is no one born in the world who, after attaining wealth, doesn’t progress towards a spiritual downfall. Even Sugreev, who after regaining his kindgom with the help of Lord Ram, forgot about Him afterward – and he was such a great devotee. What pride! So this devotee is not asking for worldy happiness or liberation from Maya, which naive people request. He is only asking for service. In the last line of this kirtan it is written that receiving God’s divine vision and divine love isn’t the result of one’s devotional practice. The Veda explains that the vessel of the mind is dirty. It is impure due to the presence of uncountable sins. By practicing devotion to God and Guru this vessel is cleaned. Once it is fully cleaned, then whatever goes into that vessel, will be given for free. Such things are priceless; you can’t pay the price for them with anything material. What do you possess? An impure material body and an impure material mind, plus everything in the world is material. So what could you give to God in exchange for something divine? Even so, the Guru doesn’t take anything in exchange for the power he gives you after you purify your mind. You simply have to prepare your vessel, and this will also be done by the Guru. He will make you do devotion just like a teacher teaches primary school students how to pronounce the alphabet. He will also explain to you what you want and how to get it. So divine love or bhakti or receiving God’s vision is all accomplished through the Guru’s Grace and there is no price we could pay for that. Even if one could fully purify his mind on his own, he still wouldn’t be able to attain divine bliss or God’s divine vision. Why is this? Because our senses, mind and intellect are material and God is divine. Everything of His is divine. So after your mind is completely purified, then the Guru must give his divine power to make it divine. Afterward, you will see God’s divine form. But until your mind is purified, what will the Guru do? Into what will he give his grace? There is no proper vessel to receive it. So for making the vessel, we must practice devotion to purify the mind. This is the meaning of this kirtan verse.